50 Simple Activities to Help Children Develop, Learn, and Grow! Sensory Focus LLC, 9781935567547, 114pp. 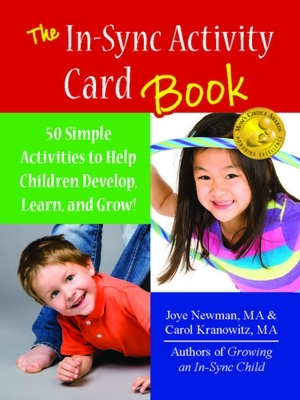 The classic Activity Cards are now in a book Winner of the Mom's Choice Gold Award, these great cards are divided into beginner, intermediate, and advanced activities. Each activity tells you why and how it works, what you need for it, and ways to make it more challenging. It also tells you what to look for, to make sure your child is getting the most out of the activity.